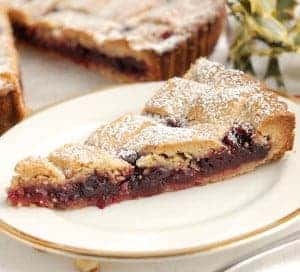 In my recent Cranberries in Red Wine post I mentioned that I make a yummy Cranberry Linzer Tart with cranberry compote as the filling in place of the traditional raspberry preserves. Well, here’s the recipe. 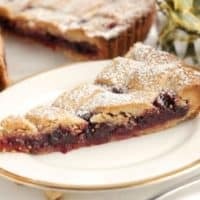 Since the cranberries keep in the refrigerator for several weeks, I always make a double batch for Thanksgiving, intending to use the leftovers to make a Cranberry Linzer Tart for Christmas. 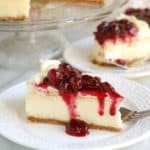 My husband loves this stuff, so sometimes the leftovers don’t last long enough to bake a tart. 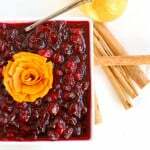 It’s no big deal since it takes almost no effort to make another batch of cranberries. 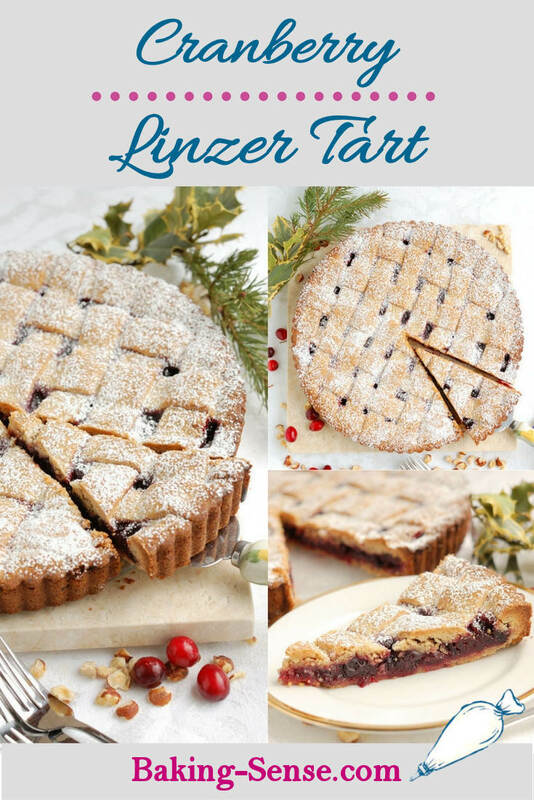 Other than the cranberry filling this is a pretty traditional Linzer tart. 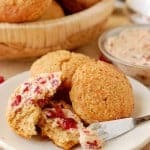 Of course you could make the same dough and fill it with raspberry preserves for the traditional flavor. If the dough crumbles just smush it back together. With the filling made ahead the tart comes together fairly quickly. The hazelnut dough can be just a bit tricky because it’s very tender. I prefer to roll it out to line the pan, but the dough will break up a bit as you transfer it. 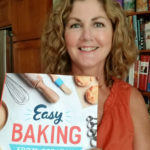 I think rolling the dough is a bit faster, but you can spread the dough into the pan using a small spatula or your hands if you find the rolling too fussy. 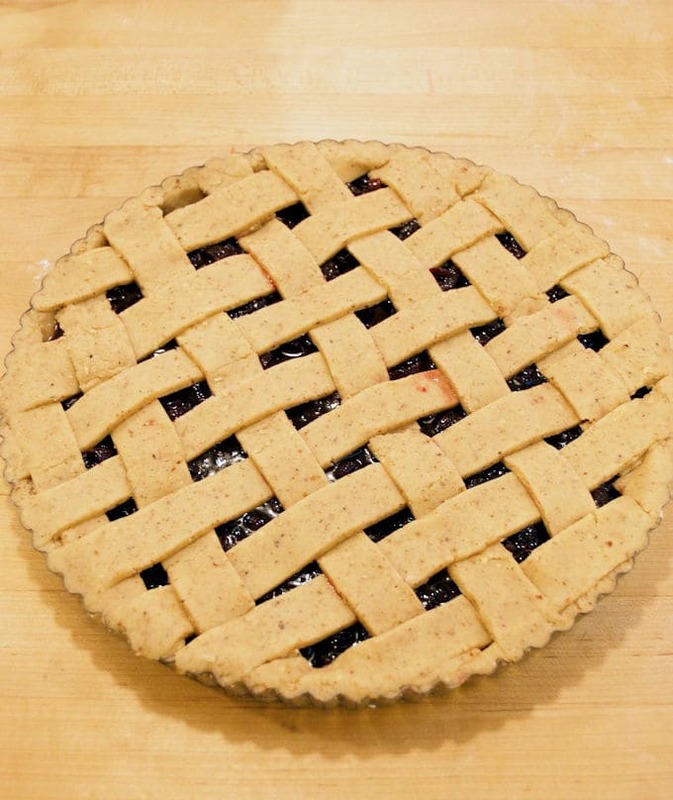 The dough for the top will need to be rolled to cut the lattice strips. 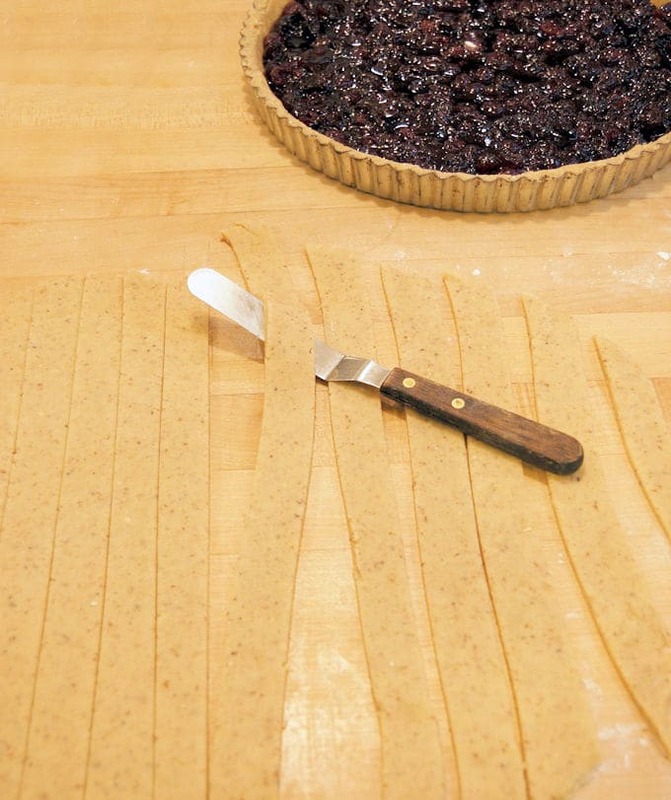 Carefully lift the lattice strips one at a time and they should hold together well enough to get them on the dough. 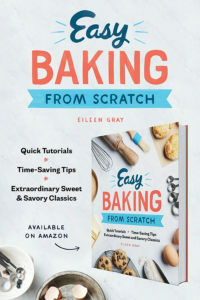 Any breakage can be pieced together and won’t be noticeable once it baked. 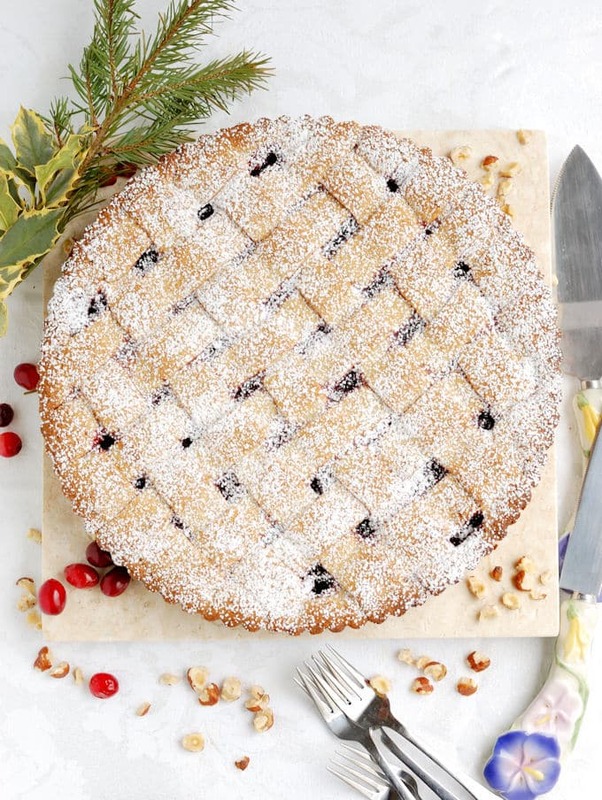 A sprinkle of powdered sugar is all the decoration you need. 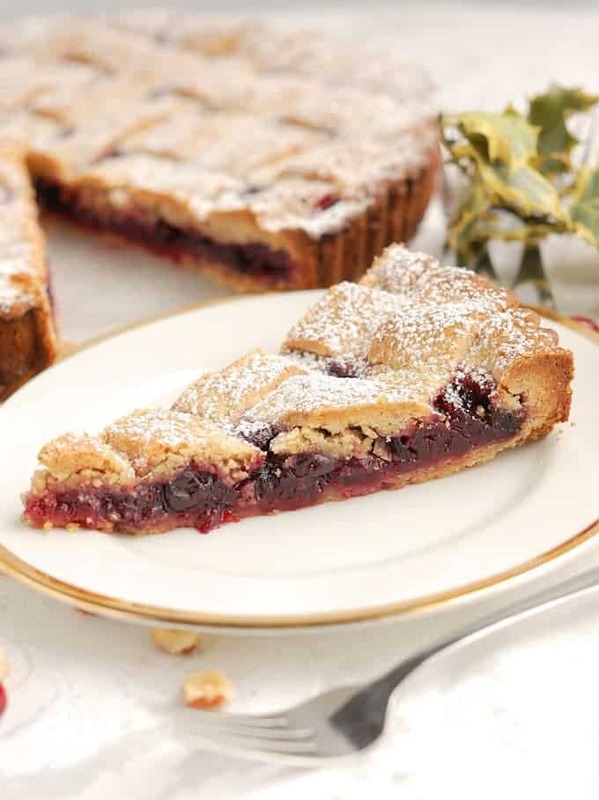 A traditional Linzer Tart with hazelnut crust is given a twist with the Cranberries in Red Wine filling. 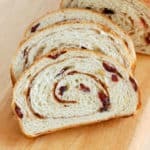 1 Recipe Cranberry Filling, made ahead and refrigerated until set. 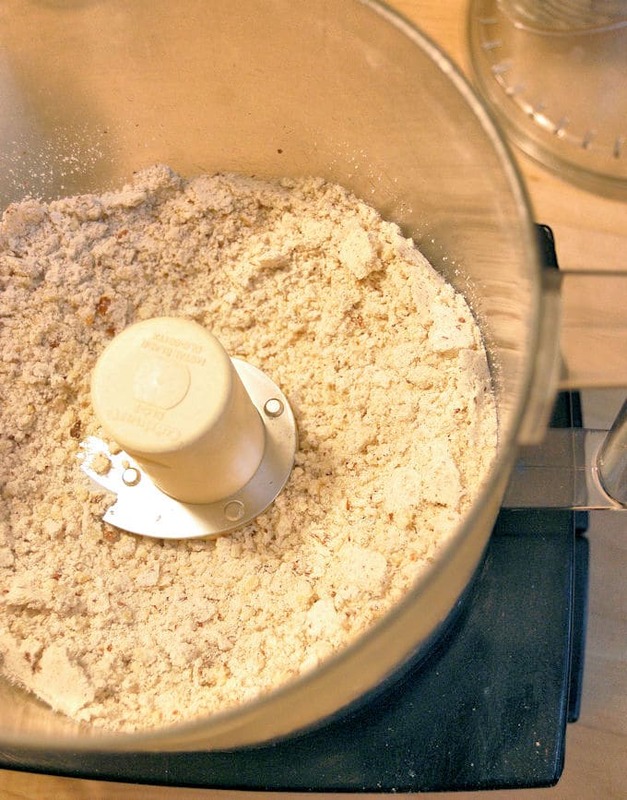 Combine the hazelnuts and 1/2 cup flour in a food processor. Pulse until there are no chunks and the nuts are finely ground. Add the sugar, baking powder, salt, and cinnamon and pulse to combine. Add the butter and pulse until the pieces of butter are no larger than a pea. Add the flour and pulse until the mixture looks like wet sand. 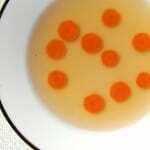 Add the yolks and vanilla and process until the mixture begins to form a ball. 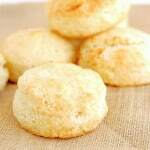 Dump the dough onto a floured surface and knead until the ingredients are completely combined. Divide the dough into 2 unequal portions (2/3 & 1/3). Wrap each piece of dough and refrigerate for several hours until firm. 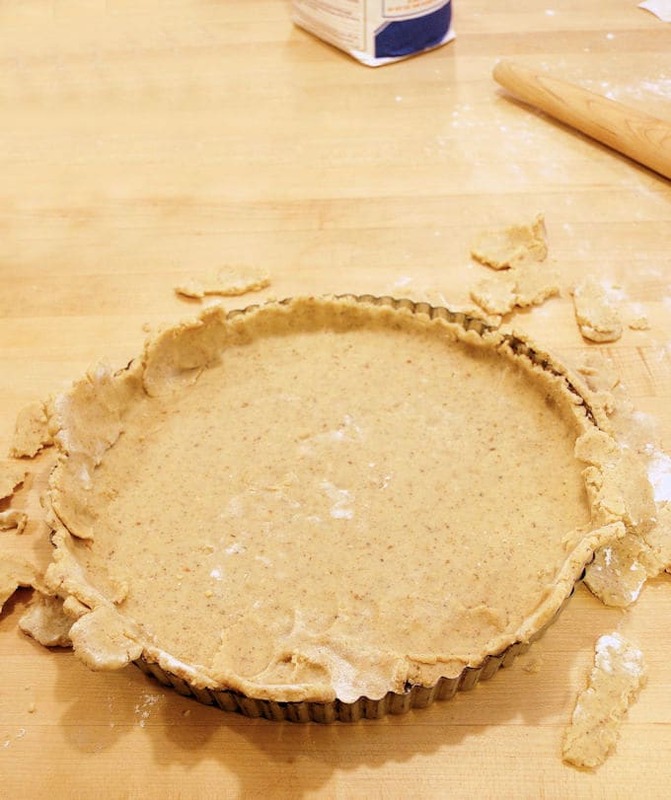 Roll the larger portion of dough to fit a 12" tart pan with a removable bottom. Piece together any bits that crack off as you transfer the dough to the pan. Alternately, skip rolling and use a small spatula or your hands to push the dough evenly into the pan. 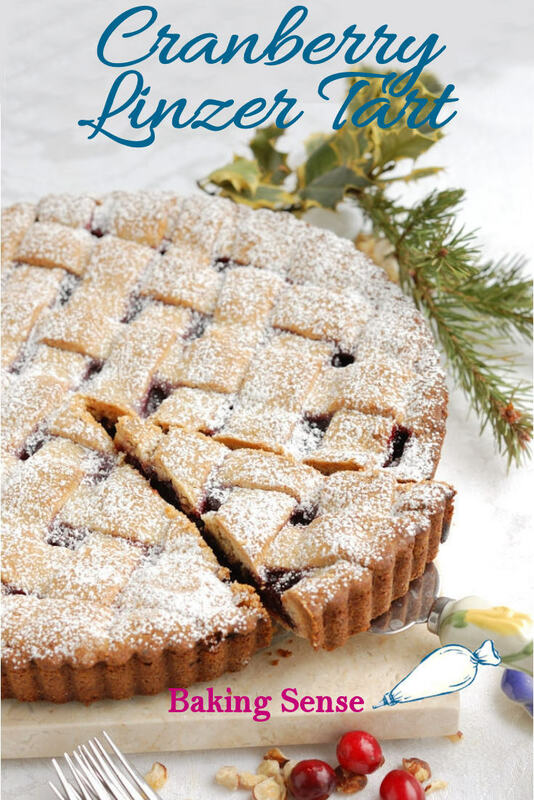 The tart will keep up to a week at room temperature or can be frozen for up to a month. 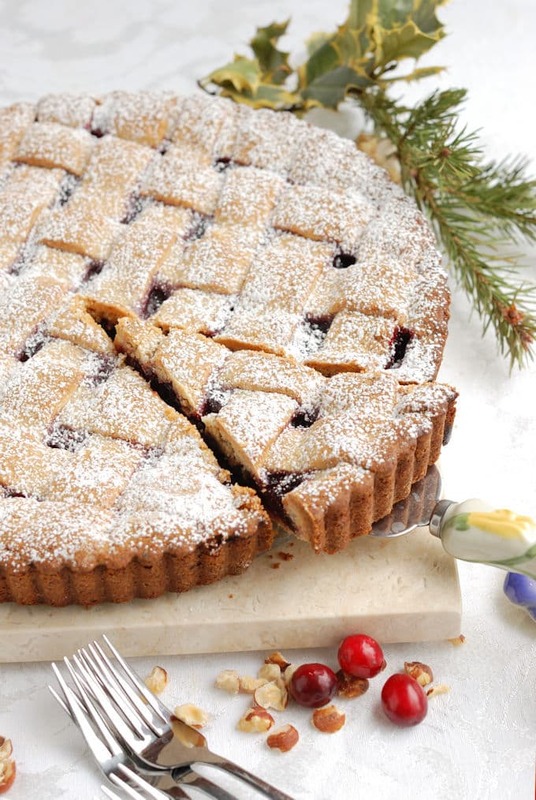 This linzer tart looks delicious and so festive for the holidays!